Brush 08 is the perfect precision brush: the tiny tuft makes crisp, flawless eye liner and other detailed tasks easier than ever before. The square shape of the bristles works pigment directly into the root of lashes and brows for precise, pro-level results every time. Brush 08 is also available with The Collection. 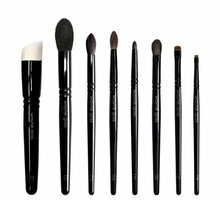 Dip Brush 08 in gel or cream eye liner and glide along the lashline for smooth, crisp lines. Push eye liner deep into lashes for a more subtle eye-enhancing effect. 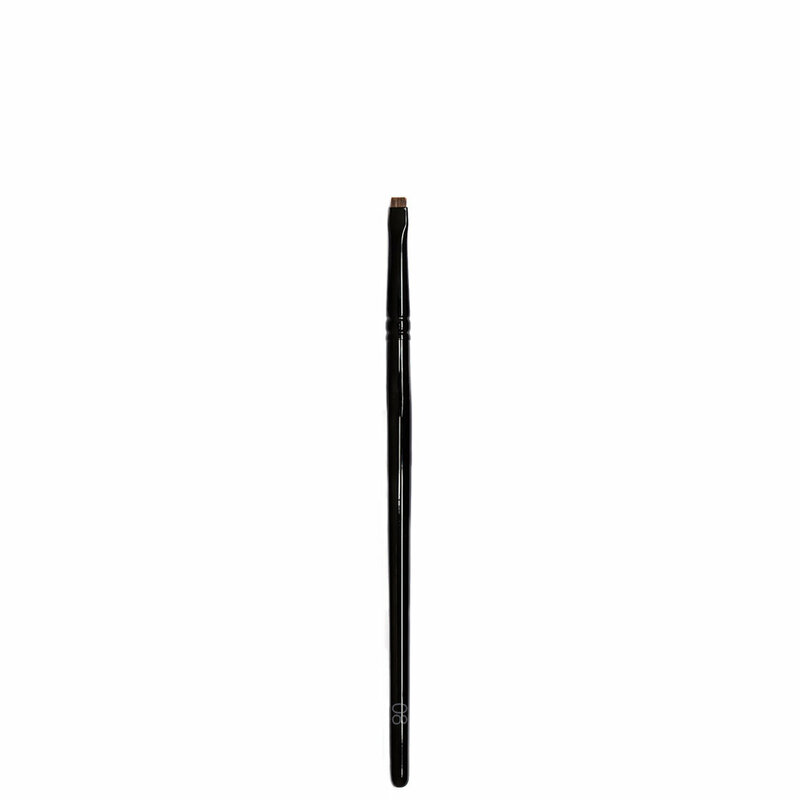 To fill in brows, angle Brush 08 on its side and draw light, thin strokes for a natural look. As a makeup fanatic, I've got quite the collection of brushes. So when a brush comes along unlike all my others (Goss #8! )-it really grabs my attention. After trying this little gem once or twice-I was already hooked! Now after using it 4 quite awhile--I give it my Holy Grail stamp of approval! It's surprisingly SOFT & a dream 2 use- esp 4 those w/sensitive (even watery) eyes such as mine. Due 2 its tiny size--it leaves no room 4 error whether ur a beginner or a pro! It applies my HG Inglot gel liner (also from Beautylish & the best ever 4 watery eyes) with amazing ease --both tightlining & the waterline as well. It also makes the most perfect, sharp 'tail' 4 my eyebrows when applying the Anastasia dip brow pomade--again from Beautylish & recent discovery & new FAV of mine! All I can say is GET THIS!! U will fall in love just as I have! I've included a pic showing the MAC 212 alongside the Goss #8 just 4 reference of size only. I wanted u 2 b able 2 see how its tiny size makes such a difference in perfecting ur makeup! HTH! My All Time Favorite Brush! 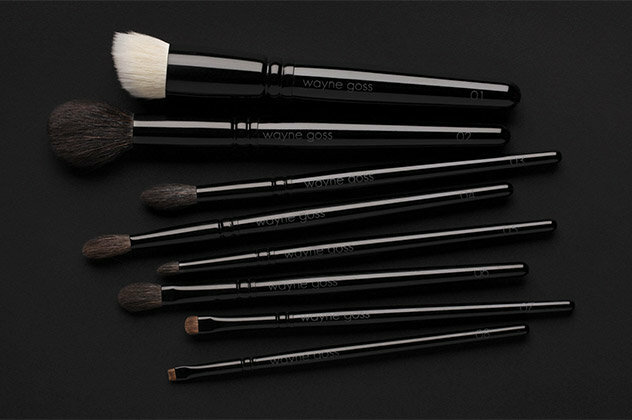 I am obsessed with every single one of Wayne's brushes so far for how soft they are and how amazing they work, but this one is so unique compared to anything else that I have in my makeup tool kit. I have tried many brushes for tight lining, and they never seem to do what I want. I have even tried to cut brushes into what I was looking for, but they never worked the way I wanted because the bristles would either poke me or were too soft. This is probably the smallest tight lining brush I have seen, but the bristles are just the perfect amount of soft and stiff to get the perfect amount of product where you need it, whether it be a gel liner or a powder formula. It works amazing for filling in brows as well. Thank you Wayne for making the perfect brush! This brush is fantastic for tightlining! Why? Because it's so teeny-tiny, that it really deposits the color at the roots of your lashes. You can go under (in the waterline) or above, and you won't have a noticeable "line" (unless you wanted to) but your lashes will look denser and thicker. The brush is firm without being scratchy or irritating to the delicate eye area. I can also see that this brush would be great for precise brow work, i.e., if you want to draw in individual "hairs" but for now I'm using it for tightlining. If you fill your brows in with a powder you have to have this brush. You always read brow pencil and brow powder instructions about making soft strokes like brow hair. Yeah. We do that but it's NEVER as fine as a brow hair. This IS. It has been one of the most impressive brushes I've purchased in a very long time. It also tight lines really well but it takes a bit longer to complete because the brush itself is a tad short. But it makes either task almost a no brainer. Great job Wayne! This is the push liner dreams are made of. Super soft bristles that are dense enough to push gel liner or powder right where you need it. My eyelashes have random clumped areas so this extra oomph to fight my unruly lashes is a big bonus to me. I finally understand the benefits of tight lining that the Internet has raved about all these years. This brush is surprisingly easy to wash and hasn't frayed or split on me even with regular use (3-4 uses per week). It's not the greatest cat/winged eyeliner unless your technique is to dot your eyelids to that desired wing. I like to flick or draw them down so that didn't work for me. 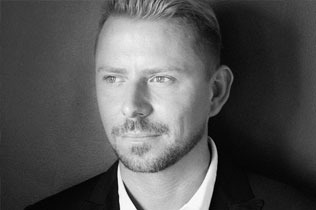 Caution: Wayne Goss brushes are short and dark colored. Put some tape on or mark it so it doesn't vanish in your makeup bag! I needed a new eyeliner brush because my synthetic hair brush got a little old. This brush is EXTREMELY SMALL. Like one of the reviewers said, it is one of it's kind. Haven't seen a brush so small - which brings me to why I gave it 4 stars. The length of it is shorter than most brushes, it's shorter than a blue BIC pen. It takes me longer to apply my tight line though because I can't really glide the brush on my tight line, I just have to press it on. The hairs are extremely short! This is a good and bad thing, it picks up a lot of colour, which I love. It makes my tight line so much more intense due to the fact that it picks and release so much colour's when applying it. Overall, it's a one of a kind brush - a definite try when you are a tight lining fanatic like I am! Everything about this brush is amazing. I mean it. Firstly, the size, shape and quality is just perfection! I have been dying to get my hands on this brush, but every time I remember to order its been out of stock. I mean, I loved Wayne before, but I think this just does me in. I adore this brush and I'm definitely going to be ordering more in the future. I also had amazing service and the packaging was so thoughtful and one of a kind (Thanks, Kelly!) and very fast delivery, but I am located pretty close to SF, so that may be the reason. Anyways, I will definitely be purchasing through Beautylish again, because honestly, the service is much more personal than Sephora/Ulta etc. So small, yet so mighty! This brush surprised me. I knew it would be tiny, and had expected the shorter hairs to feel more 'stiff'. Not-at-all. My eyelashes do not grow in a neat row, sitting a bit randomly, especially at the outer corners of the upper lid. I can dot some eye liner (pencil) and this brush will work the product into the lash line, navigating between my 'random' lashes with ease. 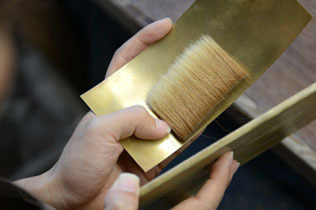 The softness of the brush head is a dream when working in such a delicate area. 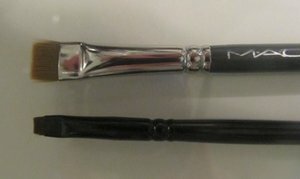 If this brush is last on your eye brush list (like it was mine), it deserves to be bumped up! It is a very useful tool indeed. I am a make-up coach, and my client base often includes people who need to update their decades-old routine, or those with health issues. This brush is so kind to the skin, I can recommend it without reservation for mature and sensitive skin types. It washed and dried well (and quickly! ).